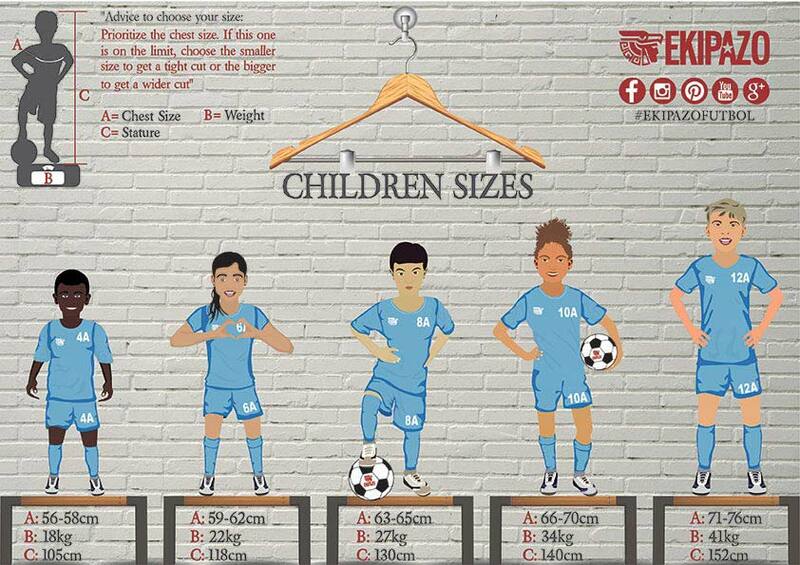 Want to design your own football kits ? Ask us a free quote and receive a mock up of your football kits with a price offer within 24 hours. 1- What material do you use for the manufacturing of the custom football kits ? Our customized shirt are made with one of the best material on the market : the drysport. This is a microfiber material, very resistant, light (145gr/m2) : the equivalent of dryfit and climacool. 2 – Will I have to pay taxes when I am being delivered ? If the delivery takes place outside the European Union and the United Kingdom, you will have to pay the import taxes. 3 – What is the price of delivery for my country ? The easiest is to ask us a full quote on this page and wait for your offer. We will detailed the price with the shipping fees. 4 – Is it possible to receive a mock up once I designed my own football kit ? 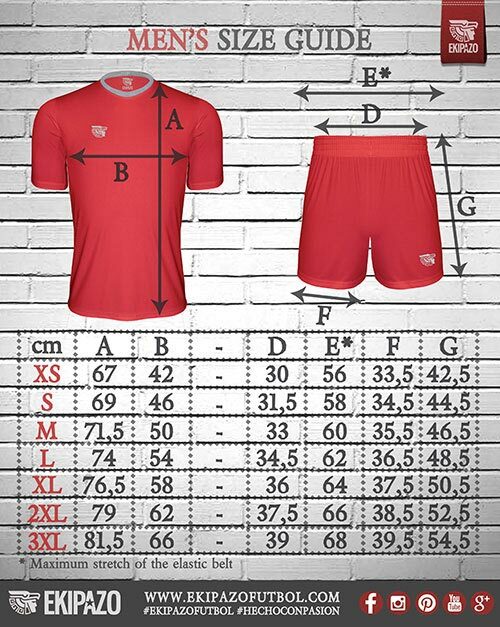 Yes, once you clicked on the button “Receive a quote and a mock up”, you will receive within the 24 hours a mock up of your football kits and a quote on your email address. 5 – Can we choose different sizes for each player ? 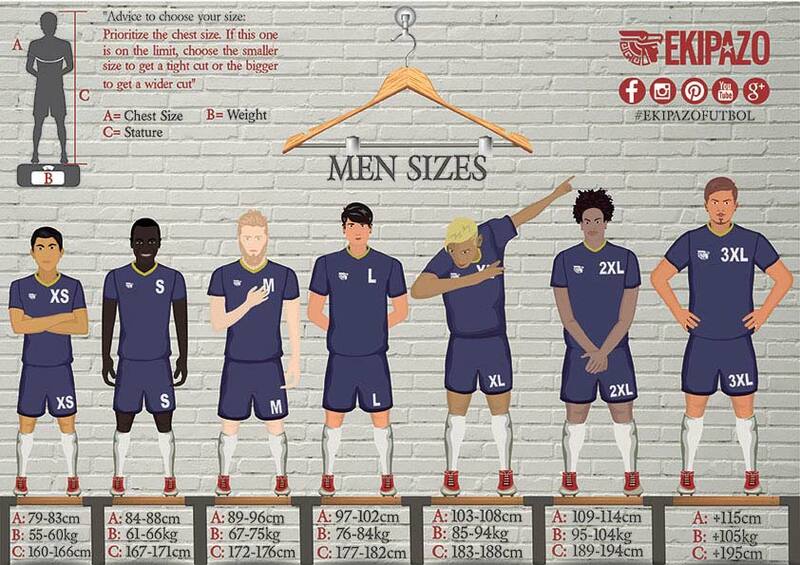 Yes, each player will choose his size and his number. You can find in the previous tab the size guide. 6 – I am on a british Island, can I still be delivered ? ? Yes definitely ! We deliver customized football kits worldwide with our partners DHL or TNT. 7 – What are the delivery delay ? Depends on your location, for destination within EU and UK, around 3 weeks. If you choose the economic delivery (with a discount of 10%) count 6 to 8 weeks in the most remote areas. 8 – I have an event/tournament in 2 weeks, is it possible to get delivered on time ? 9 – Can I receive a sample to check the sizes ? The easiest way is to use our size guides (see previous tab). If you really want to receive samples, the shipping feeswill be on your behalf. 10 – Can I come to your warehouse to get my equipment ? 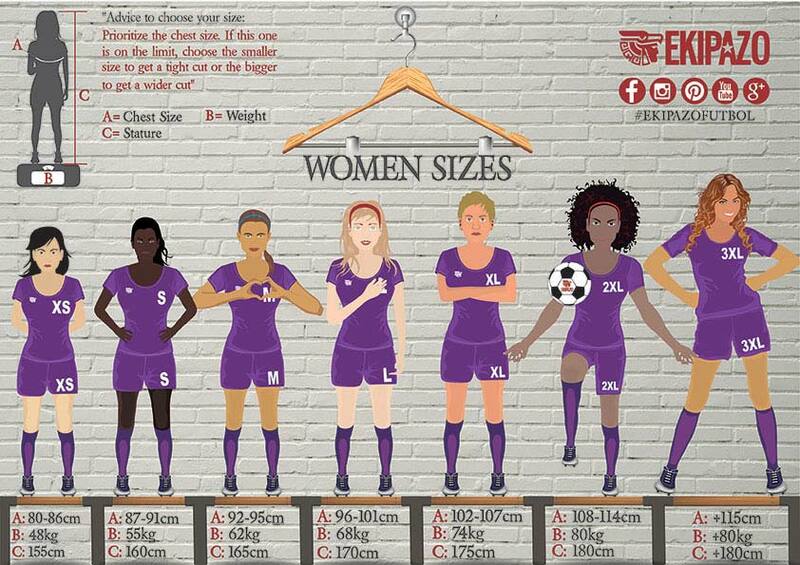 11 – Do your female custom kits have a different cut than the male kits ? Yes, they do ! 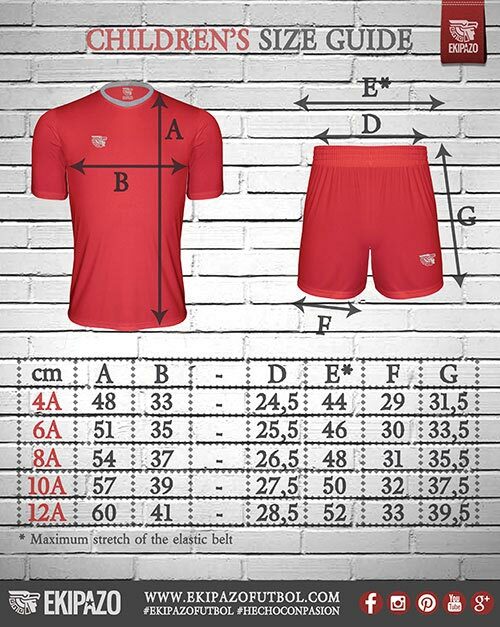 Our modelist have created a specific cut for our female football kits. 12 – What are the means of payment ? – Wire is the easiest way. – Paypal but add 2,5% to the quote value. Have a look at our video on the payment means (you can switch on the subtitles). Each player can choose its size, thanks to both guides, choose the right one. Lay down a shirt that fits you well, take measurements and compare with ours.